Highly Recommend Yet to try but shud b good. Cheaper than retail but item took more than one month to delivery. cream is nicely pack in box. Item is sold cheaply, buy 1 get 1 free but manufacturing date was 10/2016. Understand skin care shelf life is 3 years fm manufacturing date. Great deal but u could finish the pdf fast then it’s ok. This is my 2nd time ordering. Product is great and not available on many online platforms. Though manufactured date is 2016 so it’s a tight expiry date. a bit oily, need to use less amt. Received fast and well packaged! Haven't try yet,purchased during promotion buy 1 get 1 free.value for money. I didn't realised it is not the usual size, not a good deal. May I know when I can receive the item if I purchase the 1+1 today? super moisture expiry date is july 2021? kindly confirm. Thanks! Dear seller, I hv place the order on 12th Dec, your replied on 21st telling me that I will be able to receive it in 3-5 days but, it's end of year now and the shipping status is still remained as 'shipping requested'. I'm wondering what actually has happened. Thank you and has a nice weekend. Hi, any update? it's been almost a month, I'm yet to receive this long waited items. Item ordered on 12/12 is still not sent yet. What is the point of offering QX Quick if it can be delivered as per scheduled?!! Your stocks are currently at our warehouse. Please allow some time for our logistical staffs to sort them out. We will deliver them as soon as possible. 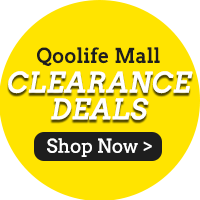 Thank you for supporting Qoolife! It has been 3 weeks since I placed the order and I am still waiting for it. Still waiting for my items. It's supposed to be shipped via QX Quick on 15th Dec and still not delivered after almost one month of waiting. Is this shipped or not shipped? If shipped, what's the tracking number? It's more than 3 weeks since order date and the 3-5 days delivery time that was promised. Such a irresponsible seller. I finally received the item but there was only 1 box despite the listing clearly saying that it is buy 1 get 1? May I know the expiry date for the products?